Applying for your dream job at a prestigious corporate company? Received an invitation to take a test as part of the ongoing recruitment process? Then chances are you’ll have to take a numerical reasoning test because it is one of the core sections of any psychometric assessment test. Let’s admit it. We all have butterflies in our stomach during any test, especially when numbers are involved. So what’s the secret to not being intimidated by numbers? Preparation, of course! But if you have no idea where to start, don’t fret! 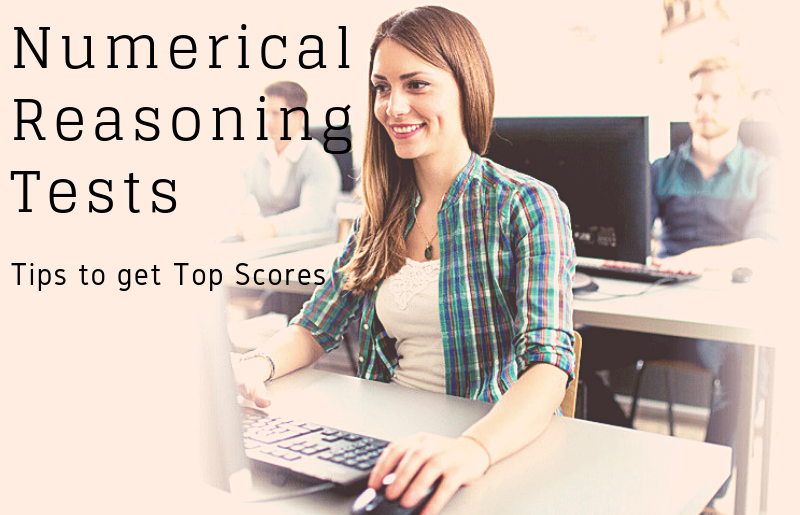 It’s not all gloom and doom because today I will be sharing with you my quick overview about numerical reasoning test, together with my top tips on how to boost your confidence and get top scores for numerical Reasoning tests. Ready? Let’s go. Numerical reasoning tests are designed to identify an individual’s level of ability to reason with information provided in tables, charts and figures, in order to obtain a correct answer. Not only do these tests assess how well you can interpret and manipulate mathematical data; they also give employers an insight into your overall intelligence, judgment and business acumen. Numerical reasoning tests are usually multiple-choice and timed. As you would observe in those sample questions below, a test taker is advised to look at each chart or table provided for each question and use the information in these to work out the correct answer. 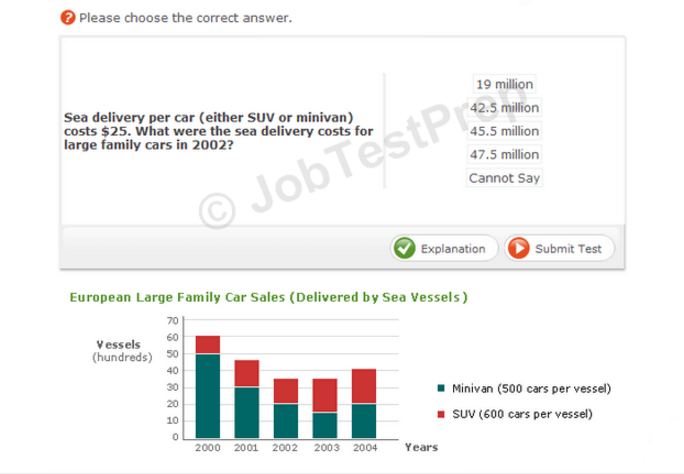 The questions are provided in a multiple-choice format with a few response options to choose from. Only one option is the correct answer. Take a FREE numerical reasoning test now and get a free detailed feedback report with ‘Normed’ scores and information on how to improve. Clearly present and convey business-related issues in forms of charts and tables to key stakeholders. That’s the reason why these numerical reasoning tests use only six basic mathematical skills: addition, subtraction, multiplication, division, percentages and ratios. Most employers tend to use Numerical Reasoning tests in conjunction with either a Verbal or Logical test as part of their recruitment process. The moment when I found out I am going to sit for a numerical test, finding out who my test provider will be is my top priority without a doubt. Why? 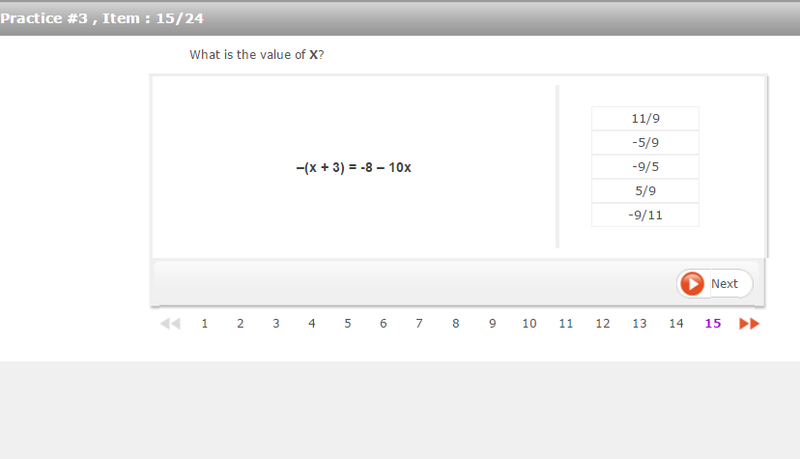 Personally, I have sat through several tests from different test providers including SHL, Cubiks, Talent Q and Kenexa. And these tests themselves simply aren’t the same. Usually, I would only have a few days to prepare before my test date, therefore knowing which provider is responsible for the test I’ll be doing means I can practise on the right type of test without wasting time on other types. If the company you are applying doesn’t reveal any information about the test provider, GlassDoor or Google might help because there are people who applied for the same company and experienced the same recruitment process. So don’t forget to do your homework because knowing your test provider is a big advantage when it comes to the real thing. Practice, practice, practice is what separates successful candidates from unsuccessful ones. Familiarising yourself with the types of question you’ll face and learning different test layouts takes time, but I guarantee it will boost your confidence, lower stress levels, allow you to learn from your mistakes and helps you answer each question faster. Ideally, I find it works best when I complete several practice tests from the actual test provider. But if you just want to give it a try, JobtestPrep offers ‘SHL style’ tests for practice, which is very similar to the actual SHL assessment you may have to take. You can also find free SHL-Style Numerical Reasoning Tests here. Three years ago, I put off preparing for a numerical reasoning test until the last minute, then on the night before the test, I ended up sacrificing my sleep to stay up late to practise as much as I could. Guess what happened? My mind went blank in the middle of the test and it was totally a disaster. In a study of high-school students, researchers found that sacrificing sleep for extra study time was actually counter-productive and resulted in increased academic problems the following day 1. So to those who will sit for any test, including the numerical reasoning test, always remember to plan ahead, prepare in advance and make sure you get plenty of sleep the night before your test. Your brain will thank you for giving it sufficient rest time and get ready to deal with those tricky numerical reasoning questions. I took my first ever timed numerical reasoning practice during career development workshop at my university. Right after the practice, I realised I got many questions wrong because I misinterpreted the questions. Being concerned about the time limit, I simply read and jump into the confusing charts and graphs without understanding the questions first! Luckily it was just a practice, and I got to know my mistakes and worked on them. But if this sounds like you, then simply give my following tip a try: Read every question twice before looking at the data underneath it. If you have your scrap paper beside you, make use of it. Quickly scribble down the keywords and important facts from the questions. Perhaps it sounds too simple, but you have to be very clear about what you need to find. Don’t let yourself get caught out. Depending on which numerical reasoning tests you’re taking, you generally have between 45 seconds and 2 minutes per question on average. Many of my tests happened to be at the lower end of that scale. How scary! Maybe you have encountered those tougher ones. So how do you maximise the number of questions you get right while making it to the end of the test? Below is my quick and easy strategy for you to try out. Roughly estimate how much time you have per questions and stick to it. An easier question may follow as questions aren’t always in order of difficulty, so make sure you got them in your bag first before time is up. If you can’t answer a question when the allotted time for that question is up, make a guess, flag it out and move on. You’re unlikely to have your scores deducted because of wrong answers, so it’s definitely worth going with your best guess instead of leaving them unanswered. At the end of the test, if you have time, come back to those tougher questions flagged out. 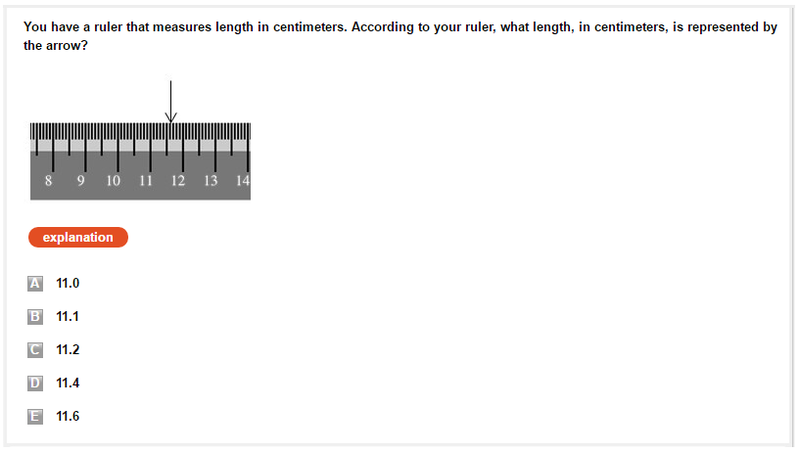 I personally find numerical reasoning tests challenging because those units of measurements and currencies can become so confusing. For example, the question asked to the price in US Dollar but some given facts are in Euro figure while others are in US Dollar price. Using these figures as if they were the same currency will send me straight to the wrong answer. Similarly, axes or legend in graphs, tables and charts could be extremely tricky if the value 10 on the y-axis means “10 million” while the value 5 on the x-axis means “5 thousand”. Although it sounds so stupid to miss, the time constraint and stress might cause you to simply forget these things. Therefore, always remind yourself to check the context, circle or make notes about what kind of number they are so that you don’t have to kick yourself later. With these above-mentioned tips, I sincerely hope that you will approach your upcoming numerical reasoning test without any panic. Don’t forget to practice as many tests as possible, just go ahead and give your best shot. You’ve got this!